Slice the bread and allow to air dry for 2 hours, then cut into cubes. Melt butter over medium heat. Cook onion and celery until soft. Add seasoning, including salt and pepper to taste. Stir in bread cubes until evenly coated. Add egg and half of broth, stirring well. Continue to add more broth as needed until moist, but not soaked. Bake in a greased dish for 20-30 minutes until browned and set. 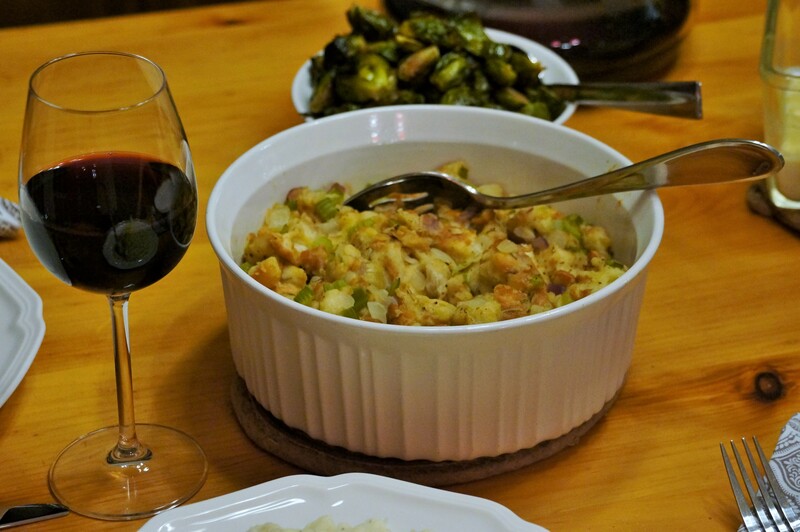 This entry was posted in Side Dishes and tagged bread, filling, stuffing. Bookmark the permalink.